Donington Park played host to a packed schedule of Sunoco-supported series last weekend when a raft of fresh drivers emerged as potential Sunoco Whelen and 240 Challenge contenders. Indeed, new names top both standings after the third round of racing, with Henderson Insurance LMP3 Cup Championship’s Colin Noble Jnr and Radical Challenge’s Bradley Smith now leading their respective competitions. British GT drivers might have initially led the way, but while they continue to dominate the rest of the top-10 it’s LMP3 Cup points leader Colin Noble Jnr who now enjoys a sizeable advantage at the summit thanks to a pair of victories and fastest lap during the championship’s inaugural weekend. The Ecurie Ecosse with Nielsen Racing ace has 120 points, 34.75 more than Alex Reed and David Pittard scored during British GT4’s opening round a week earlier. It’s certainly a commanding lead, but the Sunoco Challenge’s average points system – worked out across a full season – ensures Noble Jnr must maintain that level if he’s to consolidate his advantage. The rest of the top-eight remains unchanged, with five drivers less than six points behind Pittard and Reed. Thomas Randle’s score of 75 sees him occupy ninth, albeit 45 points behind LMP3 Cup rival Noble Jnr, while two more of the championship’s drivers – Sarah Moore and Matt Bell – sit 11th and 12th respectively. 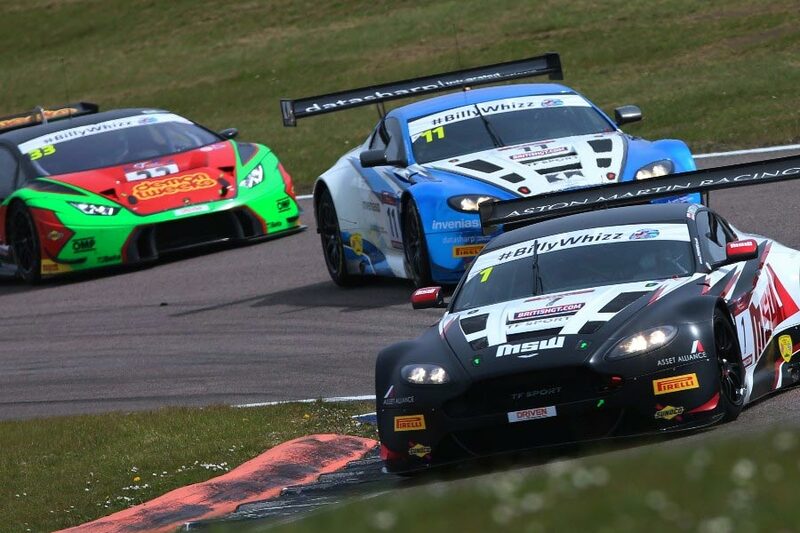 Team-mates Pittard and Reed, plus a host of other GT3 and GT4 Pro drivers, have the chance to dent Noble Jnr’s advantage when British GT visits Rockingham for its third round of the season this weekend. A perfect weekend comprising two victories, two fastest laps and two pole positions helped Bradley Smith vault to the top of the Sunoco 240 Challenge standings at Donington Park. The Radical Challenge ace proved unstoppable en route to the 140-point maximum, eight more than British GT3’s Jon Minshaw managed the previous weekend. Smith is ineligible for the Sunoco Whelen Challenge after winning it and 2014’s Rolex 24 At Daytona prize drive with a dominant Radical SR3 Challenge campaign in 2013. However, a similar season could see him become the first driver to also claim the 240 Challenge. The breadth of racing on offer at Donington highlighted just how open this year’s 240 Challenge could be. Drivers competing in five different categories currently occupy the top-five positions, and all have 100 points or more. Most other weekends would have seen Shane Kelly comfortably top the standings, but the F3 Cup driver’s three victories, two pole positions and one fastest lap averaged out at 120 points to leave him 20 adrift of Smith at this early stage. He’s 4.5 points clear of reigning British GT4 champion Graham Johnson, who competes again this weekend, and 20 more ahead of Alasdair McCaig, who won both LMP3 Cup races alongside Ecurie Ecosse co-driver Noble Jnr. The rest of the top-10 is covered by just three points, with F3 Cup racer Jacopo Sebastini joining British GT and Mini Challenge JCW drivers in the mid-80s. The first of GT Cup’s contingent, Jonny Mowlem, is 12th but very much in contention on 84 points, while 2016 240 Challenge contender Steve Burgess slots into 14th after claiming two Radical Challenge podiums.